In Ayurveda, waking up early in the morning is considered as beneficial for health, as the morning is the purest time of the day, when the air is fresh and the mind is at ease. It also states that eating at least half an hour after waking stimulates digestive fire and keeps metabolism rates up. Skipping breakfast is one of the bad habits that we often succumb to due to busy work schedules and it does not contribute to good health in the long run. Therefore, it is important to at least have a piece of fruit and some milk before leaving for work. 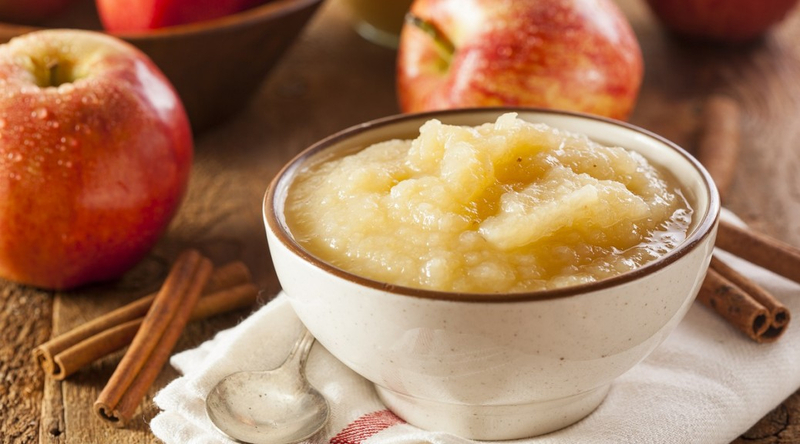 Stewed apples is an Ayurvedic dish that is one of the best ways to enhance digestion and vitality. Apples contain pectin and polyphenols which help the body to cleanse itself of toxins and metabolize fat effectively. It maintains proper balance in the functions of the body also. You can also drink freshly made fruit or vegetable juice, as in Ayurveda, it is believed that having raw fruits and vegetables in the morning is extremely beneficial for health. In fact, it is best to have fruit the first thing in the morning, even before you have cereal or anything else. Peel the apples and cut them finely into pieces, and boil them in water. Add in the spices and raisins so that they combine with the apples to give it a flavour. Once they start boiling, cover the vessel with a lid and keep cooking till they turn soft. After they are cooked well, drain the extra water and remove the cloves from the mixture. Allow the fruit to cool. This is the best breakfast prescribed by Ayurvedic principles, and is especially great to have during the Spring season. Your system will be cleansed of toxins and excess ama. This dish also helps in creating ojas, the by-product of digestion that contributes to strength, well-being, immunity and vitality. In addition, consuming this wholesome Ayurvedic recipe dish overtime will also lead to a reduction in your cholesterol levels over time. Not only this, it also eases digestion and promoted the elimination of body waste to keep your digestive tract healthy and clean. Ayurveda’s primary focus is on maintaining a healthy life through a balanced, nutritious diet. Fresh fruits like apple when cooked appropriately and tempered with the right spices can truly enhance your overall well-being. The morning time is the purest time of the day and eating something that is fresh and a product of nature will keep your energy levels up and going through the rest of the day. Promote better health and a stress-free lifestyle with the goodness of Ayurveda. Feel free to explore our range of 100% herbal, Ayurvedic products enriched with nature’s best here.